Kungfu4less.com offers different kinds of 3 Section Staffs like the Standard 3 Section Staff, Rubber Staff, and White Wax Staff for the training in martial arts. 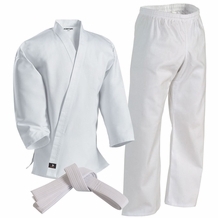 We provide a collection of products to fulfill the rigid requirements of accredited dojo's. The three-sectional staff also known as the triple staff is a flail weapon that is used in various forms of martial arts. 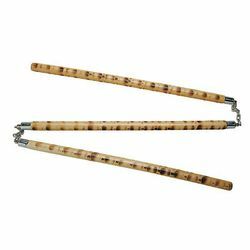 It comprises three staff sections made from wood or metal which are connected together by metal rings or rope. This staff is used both for defense and offense in martial arts. The materials used for constructing these staffs are bamboo, various hardwoods or aluminum etc. In order to suit a player, they must be equivalent to the length of his arm. The ball-and-socket joints are used for connecting the three stick sections. 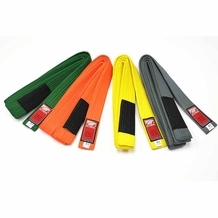 If you are looking for high quality 3 section staffs like the standard 3 section staff, rubber staff, , white wax staff for performing instructional moves in defense or offense in martial arts, then Kungfu4less.com is your best option. Our products are not only made from the finest materials but are also at the lowest prices we can offer you so that you can purchase the item you need without breaking the bank. 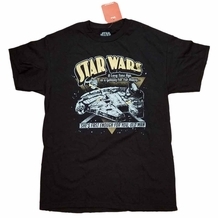 You will not find such a large variety of 3 section staffs anywhere else. Our products will offer full value for the money. As always if you require any guidance or have additional questions, our customer service team is available.